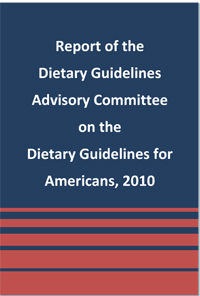 I started reading the USDA’s 2010 Dietary Guidelines this week. For those of you who hoped the federal government would finally wise up and dump the high-carb/low-fat nonsense … come on, you didn’t really expect that, did you? Did you honestly believe the government would put together a panel of so-called experts who would announce that the government has been wrong for the past 40 years? That the food pyramid was a disaster? That billions of taxpayer dollars are subsidizing the same foods that are making us fat and diabetic? Of course not. The new guidelines are, if anything, a perfect example of something I’ve said in previous posts (which I believe I may have borrowed from Milton Friedman): when a government program produces disastrous results, those results are offered as proof that we need to do the same thing again … only bigger! That’s mostly what the new guidelines are: the same old $#@%, only bigger. Bigger reductions in saturated fat, bigger reductions in salt, bigger reductions in cholesterol, and of course (this is a government committee, after all) lots of “calls to action” … otherwise known as BIG federal programs to convince us poor fools in the public to finally start heeding their advice. Yup, these folks know who’s spreading the polyunsaturated margarine on their whole-wheat bread. Nothing pleases the high-ups in government quite like being told that the only way we’ll stop runaway diabetes and obesity is to expand the role of government. It would never occur to these doofuses to wonder how our grandparents and great-grandparents managed to stay lean and (mostly) free of diabetes without a bunch of federal programs guiding their dietary choices. I’m not sure how I would track this, but I’d be curious to see how many of the committee members, after telling the government exactly what it wanted to hear, end up with juicy government grants for their future research. There are hundreds of pages (this is a government committee, after all), and I probably won’t read them all for fear of putting a fist through my monitor. But so far, I’ve read the summary and several key sections … including the “methodology” section that explained how rigorously they collected, examined, and considered all the relevant science before writing their recommendations. That’s hogwash. They cherry-picked the research. I’ve already seen a dozen or sentences that begin with “Studies show a moderate association between …” and end with a recommendation based on those moderate associations. If you read this blog regularly, you know what I think of association studies. These people had their minds made up before they began. I knew that would happen when the committee was populated with nothing but the same old anti-fat, anti-salt hysterics, even though some top-notch researchers who’ve studied the benefits of carbohydrate restriction were nominated. We’re getting fatter because we eat too much and don’t exercise enough, so we need to eat less and exercise more. Heart disease and Type II diabetes are caused by saturated fat, so the recommended intake of saturated fat should be reduced from 10% of total calories to 7%. Cholesterol also causes heart disease, so the daily limit should be lowered from 300 mg to 200 mg for people at risk for heart disease or diabetes. Salt also causes heart disease by raising blood pressure, so we need to severely restrict our salt intake. Carbohydrates are fabulous as long as they come from fruits, vegetables, and whole grains, and they’re essential for energy, so they should make up 45-65% of our diets. See anything new there? Any shift in thinking? Any recognition that our obesity and diabetes rates began going up around the same time we were told to go on lowfat diets? 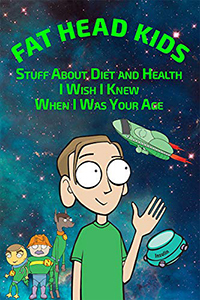 Any indication that the committee, in their efforts to examine all the relevant science, read anything by Gary Taubes or Richard Feinman? Any indication that they even examined the diets of Americans 100 years ago, when diabetes and heart disease were rare? There’s far more nonsense in the official report than I can or should try to tackle in a single post, so I’ll keep reading and start writing posts on the topic next week. Penn & Teller, Fast Food, and Bull@#$%! I too believe that the Food Pyramid and the dietary guidelines you speak of in this article are a bunch of bull$#!&. They only promote this way of eating because it lines their pockets with green! It is a vicious circle! The goverment recommends we eat this way to keep us sick, so the drug companies can try and make us well again! Unbelieveable! I just wanted to say that I have very much enjoyed your movie and have watched it several times. I even went back and watched parts of Super Size Me again and cannot believe I missed those extra large portions that Morgan was eating during the experiment! Funny thing is, that even his production company is called “The Con”. This should have been our first clue! Keep up the good work! I remember pausing the DVD once during Super Size Me and trying to figure out how the amount of food on his tray could possibly fall within his rules. Glad you enjoyed the film. Sadly, it’s what I expected. The only way they will ever admit they are wrong is to back into it slowly… and blame someone else for the disastrous results of their recommendations. Which of course would be pointing to a scapegoat and NOT admitting THEY were wrong anyway. If it’s true that science proceeds one funeral at a time, then we may have to way until the current crowd is pushing up daisies. The good-carbs myth is hard for people to overcome. I recently spent a few days visiting my best friend after losing 20 pounds. I stayed at her house and she saw what I ate: bacon every morning, vegetables with sour cream dip, peanut butter, and meat. She’s still having a hard time believing she could lose weight on a high-fat, low-carb diet–even though she cooked the bacon herself. BTW, she and her family watched your movie and loved it. I mentioned the movie to some people at a late-night dinner. They all said they had healthy oatmeal for breakfast (being avid dancers in their 20s, they’re not likely to gain weight from it) and when I mentioned you’d lost weight on fast food, they looked at me like I had a second head. The government should shut down their dietary guidelines program as “too complicated” or “we need to focus on the oil spill” or somesuch. They think the problem is that we’re just not listening to them. We’ll have to just keep ignoring their advice and encouraging others to do the same. So sad, but not surprising, to hear the guidelines have not changed. I was speaking to a type 1 diabetic yesterday and asked what advice he was given as far as eating (he is in his 20’s and is having vision problems) and he said that he was told to eat regularly, but that nothing except sugar was off limits. This is in Europe. I just read a great book that explains the self-justification process that allows people/organizations to continue along the same path, even if indisputable evidence shows they are/have been wrong: “Mistakes Were Made (But Not by Me): Why We Justify Foolish Beliefs, Bad Decisions, and Hurtful Acts” by Carol Tavris and Elliot Aronson. I would highly recommend it. Dr. Eades gave that one a stellar review as well. It’s on my list. “Few studies have linked carbohydrates to obesity. Indeed, observational data generally report that higher carbohydrate intake is linked to lower body weight”. What? I mean, WHAT? Don’t they have that backwards? Am I really reading this right? Is this a joke? Am I reading “The Onion” or some other parody website? There’s just no words. But I’ll bet nutritionists will support it. They’ll not only support it, they’ll quote the guidelines as gospel. Leading up to the issuance of the new food guidelines, I actually tuned into the webinars on the USDA site and read transcripts of their hearings. Painful. They started with the flawed premise that energy balance is crucial to maintaining a healthy weight. Taubes explodes that hypothesis in his Dartmouth lecture. Like you, I read much of the report online. I couldn’t find one mention of high fructose corn syrup. It appears that Corn Refiners Association lobbyiests did their job in convincing the committee that their product is no different than sugar. Crazy. It makes as much sense to take the USDA’s latest advice on diet as it does to sign up for vuvuzela lessons. I’d rather take the vuvuzela lessons. Sad, but what I expected. $$$$ trumps science again. The big processed food companies have a big market in whole grains and cutting saturated fat. I used to eat the way the government said to eat and I just stayed fat and developed type 2 diabetes. Now I take the opposite approach. We have been rebels all this time and will continue to be rebels. Let’s keep doing what we were doing in getting the word out. As long as the government doesn’t try to force us to eat the way it recommends, we’ll be okay. And the USDA’s primary mission is to sell grains. Now this is a pisser of a quote from the 2010 Guidelines. Yup, that’s a repeat of the study that said people who limit carbs are fatter than average. Duh. People who go to Weight Watchers are fatter than average too. Pick any method of dieting, and the people who try it are fatter than average. Maybe the First Lady will discover low-carb diets, or Oprah will, or both. Otherwise I don’t see this Administration dropping the low-salt and low-fat dogmas: these are among the most dogmatic people ever to hold power in the US, and they’re happy with any excuse for more government intervention. There’s not a lot of outside-the-box thinking in political parties in the US these days, and none whatever on the Left. Meanwhile, on my low-carb diet, I continue to lose weight and I’ve had to cut use of insulin sharply to avoid constant insulin reactions. (I also cannot tolerate alcohol any more — just as well, because it raises triglycerides.) My endocrinologist will be stunned at my progress with my diabetes, but he’ll want me to get back on statins and he’ll fret over serum cholesterol values, I bet. I expect a good hemoglobin A1c result, though. I’m afraid Oprah has painted herself into a corner. She’s made media stars out of doctors who push low-fat diets. It would be hugely embarrassing to admit she backed the wrong theory all these years. Association studies are correlation studies–Correlations DO NOT IMPLY causation! You would think our might government knows that–since they make me teach it. I’ve forbidden my students to ever use the phrase “Studies show…” or “Research has shown a link…” And their “…including the ‘methodology’ section that explained how rigorously they collected, examined, and considered all the relevant science” is a meta-analysis so it’s not based on primary sources. What meta-analysis means is that the so-called researchers are interpreting what they found and my guess is they don’t know or understand what they are reading. So once again, we have the blind leading the blind. Excellent article … but of course it makes me want to tear a few congressional heads off. So how do we go about changing who’s in charge of dietary advice? Are they president appointed? We need a low-carb president! I want Dr. Mike Eades as my president. He’s been a doctor, engineer, fireman, inventor, author, and entrepreneur. He’s also a libertarian, which to me is further proof of his brilliance. Glad I learned a long time ago not to trust the government! We all need to learn that, and the sooner the better. I just wish they did…I’d be more than happy to administer it. That is, of course, what’s keeping the French so lean and healthy … their fear of saturated fat and salt. What continually trips me up is WHY the general public assigns any credibility to what the USDA has to say about nutrition. When did they become the experts? Why is health and human services not heading up nutritional guidelines? I doubt the results would be that much different, but still… WHY THE USDA? HHS was involved in this go-around as well, but either way, there’s no reason to trust a committee formed by a government that is hugely invested in grains. Yeah, that 7% saturated fat recommendation is easy. Obviously they didn’t bother to read Chris Gardner’s study while considering all the evidence. After competing in a mini triathlon, a friend of a friend asked me if it was really true that I competed in a fasted state. And if I really eat lots of butter. They couldn’t wrap their head around it all. Between the pre race pasta meal the night before, oatmeal, bananas and “performance gels”, they live on sugar. But they are convinced they are eating healthy…oh well. All you can do is tell them. If they don’t believe it, it’s their problem. I would just like to say that I came across your blog and information about 9 months ago. I check it every single day for new posts and new, solid, information on nutrition. I have to thank one of my college professors for turning me onto guys like Gary Taubes’ “Good Calories, Bad Calories” and people even “What to Eat” by Marion Nestle (although there are some things I disagree with). The USDA dietary guidlines have complete disrespect for the problem that we have in this country. All it is doing is fueling people to become unhealthier and driving our obesity numbers thus higher and higher. You don’t have to see the Obesity and Overweight data to see that (http://www.cdc.gov/obesity/data/trends.html#State). Come on even the dietary guidleine for a diabetic.. a diet of over 50% carbohydrate for a diabetic who has a bigger problem handling glucose and sugar one way or another? That makes total sense. I would like to personally thank you for posting legitimate arguments and data. It is truly appreciated. Even though I haven’t been able to view your movie I hope to be able to soon. Insanity is doing the same thing over & over again and expecting different results. Tom, I’m sure you’ll agree that with few exceptions, if/when the government is ever competent, it is an accident. But that’s really of no consequence anyway, because they have no business dictating diet or most other aspects of life in which they have their tentacles. That’s what I’ve tried to explain to people: the government has no business dictating food choices, even if they knew what they were talking about when it comes to nutrition … which they clearly don’t. In their opinion, if you string those sugars together to make “complex” carbohydrates, they’re health food. This is what happens when corporations run the world. They began buying the media, the universities, and the government quite some time ago. As long as they are in charge, we’ll never see a return to any mainstream acceptance of what the research had already convincingly demonstrated by the 1950s – carbohydrates are fattening, and the fewer we consume the leaner we’ll be. Corporations aren’t capable of running the world unless government is involved. Reduce government power, and you reduce the influence of corporations at the same time. There’s no use bribing someone who doesn’t have the power to fix the game in your favor. When a corporation bribes a government official, the bigger criminal in my mind is the government official, who is supposed to be the one looking out for us. Everybody’s body is different. What works for my sister does NOT work for me (and vice versa). I don’t think the government has any business telling us anything about what we should or should not eat. We need to shrink the size of this ever intrusive, CORRUPT, nanny-state government we have allowed to evolve before it is too late. They can’t even cut through the red tape to get the Gulf cleaned up…you trust them with your healthcare?? I don’t trust them with much of anything. Blaming the govt is rather redundant. The most effective thing to do is just show people the results. Everybody knows someone that’s overweight or has high blood pressure problems. Have them watch the movie and point them to this site. Bad info will eventually be ignored. I don’t think it’s quite that intentionally evil, but when you’re in the business of selling grains, it’s easy to believe grains are health food. That is very disappointing. I felt that the time was near when they would start easing off on the high carb/low fat idea. But they got stricter. As a scientist (not in nutrition), and having been a expert scientist in similar committees, I can see how this potential bias can occur. If all the politicians running these committees already believe they are right that fat is bad then they will only ‘invite’ scientists that agree with them. They should be forced to accept credible scientists that don’t agree. But I guess they just think of these guys as quacks. Unfortunately there are a lot of quacks out there and so its easy to glance over people with valid complaints. It was clear they put together the committee with an agenda already in mind. Some months ago, I heard from a NYTimes writer who was looking into the connection between subsidies and the recommended guidelines. He contacted me because I’d expressed concern about this, in the comments. Thanks. I don’t want to expose his email address online, but I wrote it down. I dunno, Tom, information provided by the USDA that causes most people to choose carbs, no salt and no meat means there’s more for the rest of us smart people. I have essentially given up discussing my paleo food regimen with my carboholic friends and relatives. 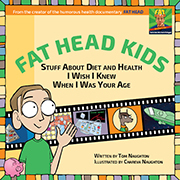 They do not eat enough saturated fat to have sufficient cognitive function to understand. If only the effects of carb-laden diets took effect before breeding age, this problem would eventually solve itself. Whenever I go on vacation and have to shop at a supermarket, I cannot believe how difficult it is to find full fat anything. Seriously, how are people supposedly eating too much saturated fat? Nearly everything I come upon in supermarkets today is low-fat, and at a store in Long Island, there was no full fat yogurt to be found. Even the beef is trimmed lean! Not to mention that companies have done their best to replace every gram of saturated fat with poly- or monounsaturated, so my bread can contain “good, wholesome canola oil!” Great. Plus, if you happen to be eating at a steakhouse or fast food joint, your “butter” is probably margarine, and the deadly-choke-on-your-own-fat-a$$ french fries are more than likely fried in “healthy-alternative” vegetable oil. I live in Vermont, and we have access to all kinds of delicious fat-filled foods like local beef, cut however you like, raw milk, great cheese, and lots of butter, but most of the country doesn’t have this luxury. If the average American is eating too much saturated fat, I have no idea where they’re finding it. They’ve made it tough, but we’re still above that 10% of calories the government recommends. Diabetes, or if you are William Brimley, “Di-uh-Beet-us” When i was growing up i always heard it called “sugar diabetes”. Does this mean they are going to start calling it “saturated fat diabetes”? Funny how we used to know more about it then, then we do now. That’s right, they called it sugar diabetes when I was a kid, too. Hmm…people are still eating too much saturated fat, so let’s go from 10% to 7%. And when people are still getting heart disease, let’s keep going until people are told to eat 0% saturated fat. And while we’re at it, let’s keep revising the salt guidelines ever downward as people continue to get all the terrible diseases that salt supposedly causes until we are advising people to eliminate all salt from their diet. But wait, they’re still getting sicker and fatter, and dying in alarming numbers, so it must mean everyone should eat even less calories and get even more exercise, so let’s keep going until people care enough about their health to eat 0 calories while exercising 24/7/365. Isn’t this the logical conclusion of guidelines that keep going down, down, down as fat, lazy Americans refuse to listen and do what’s best for themselves? Are you sure you’re not gearing up to be a trainer on The Biggest Loser? Yes, in German diabetes was even called Zuckerkrankheit (sugar illness) or short Zucker (sugar). In expressions like: Tante Else hat Zucker (aunty Else has sugar). Everybody understood that she has diabetes and not a drawer full of sugar. Funnily in French it was not the case, it’s always been diabète, and there was no (obvious) association with sugar. From what I’ve seen in the data I looked up online, the French have a very low rate of diabetes, so they’re forgiven for leaving “sugar” out of the word. Sorry I didn’t read anyone else’s comments but I agree with Tom in that the food pyramid was developed to keep the government fat with cash, and also to reduce our surplus. Look, all this country had to offer to the world are grains, and we don’t even have that now because no country wants our GM cr@p, so who’s left to sell to? Americans, of course. So they develop this food pyramid and brainwash us because we’re so gullible to make us believe that grains should make up the bulk of our daily caloric intake. All the while knowing that this proposed diet is causing a huge health epidemic, they slowly but surly take over our health care. Can they say “cha-ching”? A side note: the idea of using ethanol in place of oil was just another scheme to put a dent in our enormous surplus of grains (the stuff they’re trying to stuff down our throats)… but that just ended up being a huge FAIL. And grains are about as good for cars as they are for people. The AHA is currently in the process of publishing a science advisory on omega-6 fatty acids and the risk for cardiovascular disease. We believe this paper may be of interest to the Committee. the context of other AHA lifestyle and dietary recommendations. Aside from the Tim McVeigh-flavored Tea-Party-esque anti-government rants, I agree – the USDA is corrupt and in cahoots with the AMA and Big Pharma to keep people fat and sick. With the right-leaning SCOTUS ruling that corporations are people and can pay to put their politicians in government positions, the “Mr. Smiths” don’t stand much of a chance. We need people in government with balls who will stand up to corporations, corporate welfare, and corporate lobbyists. Wish we could educate Al Franken about this and then clone him. He ain’t afraid of nobody! I don’t think the USDA is intentionally making people sick; I think they just want to sell grains. As Milton Friedman said, people have an endless capacity to believe that whatever is good for them personally is also good for society. So the USDA folks probably have themselves convinced grains are health food. Much of the supposed power of corporations depends on forming a crony-capitalism relationship with government. Take away government’s power, and the corruption goes with it. Nobody bribes an official who doesn’t have the power to rig the game. As long as a handful of people in government have the power to make decisions worth billions of dollars, the corporations would be fools not to throw a few million around to ensure those decisions go their way. It gets into higher math. The difference between the “old” 10% saturated fat and the “new” 7% saturated fat, based on a “perfect” 2000-calorie diet, is 60 calories. Sixty calories is equivalent to 6/10 of a tablespoon of butter or 1/2 a tablespoon of coconut oil. But, according to Mary Enig, butter is only about 65% saturated, so only 65% of that 6/10 of that tablespoon of butter is saturated. And what about that tablespoon of fat you couldn’t trim from your pork chop. Enig says that’s really only about 40% saturated. . .
What a joke! Nobody’s going to fiddle with that shift from 10% to 7% saturated fat. They’ll either just throw up their hands at the whole thing (probably wise) or go out and buy packaged stuff which has all the math done for them. Of they’re really smart, just eat the butter and stop worrying about it.